Most anticipated and expected song has finally being released for the pleasure of the street. The singer has kept to his promise by doping another Hot single wish currently the talk of every blog right now. E No Bad is yet another street hustler voice, wer the mind of the street is being said. 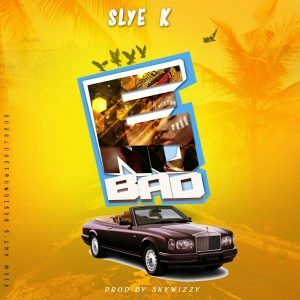 Download and Enjoy Slye K “E No Bad”. Cos i no say one day all go be story. cos i no wan tell my children story, story story (Super Story). Posted by Mr. Cis on December 3, 2018.